Given the Orwellian name Moving Ahead for Progress in the 21st Century Act or MAP-21, the legislation also mandates that all new cars have a “event data recorder” installed starting in 2015. Now other than for government use, there are very few reasons why an owner of a vehicle would want such a device installed in his or her car. The only reason an owner might want one was in case of an accident, it may provide some proof of their innocence in terms of fault. But we’ve become quite sophisticated in accident investigation already and seem quite capable of determining that now without the aid of an onboard “event data recorder”. ... Never mind that this mandate (along with new CAFE standards) will increase the cost of a new car, the real point is this is being done as something government desires, not the individual. The future will be all about automated transportation, moving people and goods from here to there like an Internet data package, with precision and efficiency in chosing possible routes. Of necessity, the computers that will be handling the traffic loads will know not just where every bundle is on the transport network, but where it will be going, whether it contains people or goods, and many other factors which will influence routing. I've got no wish to give Big Brother any more windows into my life than possible, but a large and growing problem with the modern digital society is like the conundrum of the Internet itself: how do you have privacy on an open system? If you want to use your credit card, you are going to be leaving a paper trail of your activities. If you want to track your UPS shipment online, realize anyone else potentially can do the same. Your cell phone tracks your whereabouts already. For every phone call or Internet transaction, somewhere there is potentially a record that can be accessed. Financial, medical, and all other personal information is very useful to have available but availability equals vulnerability. Ask anyone who ever had a digital picture of a drunken moment posted to the Web about trying to put the toothpaste of any information back into the tube! We have to confess that for every lock there is a lockbreaker, for every password there is a password-cracker. With small fry ordinary people, a clerk or phone con gets your credit card number; probably nobody's seriously trying to crack into your $27.97 savings account. If you're a big target individual or corporation, the hackers are going to be more numerous and the attacks more serious and concentrated. Vigilant defense commensurate with our best ability is all we can do. So, vehicular privacy will be as tight as we can make it, and as vulnerable as the criminal or tyrannical elements can make it. Moral and spiritual training for programmers is fundamental to future security. One should be able to send an email across the Internet with a reasonable assurance of privacy, and one should be able to travel from here to there with the same assurance. (Hint to privacy buffs: don't take your mistress to the baseball stadium and end up before all the world up on the super screen.) I don't offer this as anything but a statement of the battle we continuously fight, both to deter sociopathy and, preferably, to have a better society where we actually could leave our back doors unlocked. Yes, Virginia, I do believe it's possible. Not today, though. 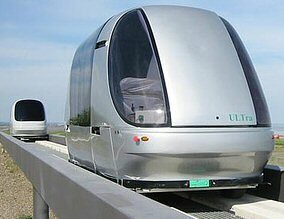 Automated transportation will necessarily be a system of continuous communication among the transportation units (cars) and the central network. Where you go will be as traceable as your credit card trail or your web browsing record. How private that will be -- will always depend. But we do want our transportation units to be fairly autonomous robots, giving the network only as much information as necessary to juggle traffic loads; specific self-identification may be done in emergency but would not seem to be a necessity. Best to have such matters thought through before the system is built.